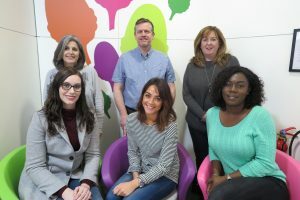 With the last of the Certificate in trichology lectures now finished for this group, it’s time to move on to the practical and clinical trichology sessions where we get into trichological conditions. Who are your courses for? Any professional hairdresser, beauty or healthcare specialist. What qualification I will receive and is it a recognised one? 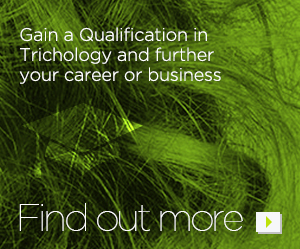 The qualification you will receive on completion is the Level 4 Certificate in Trichology for Hairdressers. This qualification is recognised internationally, due to the fact that it has been accredited under the auspices of ITEC. I have included the link to the qualification on the ITEC website. http://www.itecworld.co.uk/uk_qualifications/Diplomas.aspx?k=506. What will I be able to do with this qualification? On successful completion, you will be able to become a full member of our membership organisation, the Association of Trichologists (ART). As such you will be eligible to practice as a registered trichologist. What is the difference between the training offered by you, and training offered by others? Although I cannot comment on the training offered by other organisations, I can confirm that the Level 4 Certificate in Trichology for Hairdressers (devised and written by Trichocare Education) is the only accredited trichology qualification. 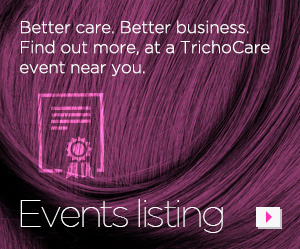 Furthermore, Trichocare Education is the only centre that provides the qualification at this time. What if I am not sure whether this course is for me? We offer prospective students the chance to first study on the Introduction to Trichology (see attached leaflet). 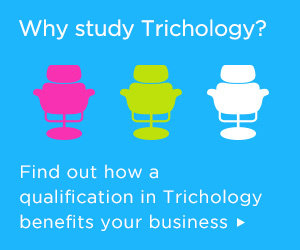 This allows you to study trichology on a smaller scale, and allow you to make an informed decision as to whether you wish to take your studies further (and enrol onto the full certificate course). What is the content of your Course? The course is built around the anatomy, physiology and pathology of the hair, scalp and related systems. This is complemented with clinical studies. How do I study? Blended learning, which combines home study with attending key lectures. Do I have to attend lectures? Yes. You need to attend 6 mandatory lectures across the academic year. These are often grouped into 2 lectures per lecture day, which means that you will attend 3 lecture days. How many hours per week do I need to devote to study? Each week, the number of hours devoted to study will vary, but a realistic guideline is 8-10 hours per week. Does it matter that I have not formally studied for many years? No. All you need is to be motivated and have a willingness to learn. Support and guidance is provided by the course materials and your personal tutor. Can I pay in stages? An instalment scheme can be arranged. Please contact the office using the details below.